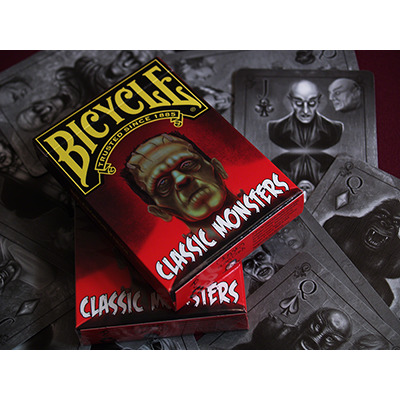 Classics Playing Cards presents Classic Monsters with a Limited Edition Color TUCK Box. Each card gives a nostalgic look back at the founding fathers of Monsters. Printed by USPCC, these Monsters can't wait to make a come-back in your collection.